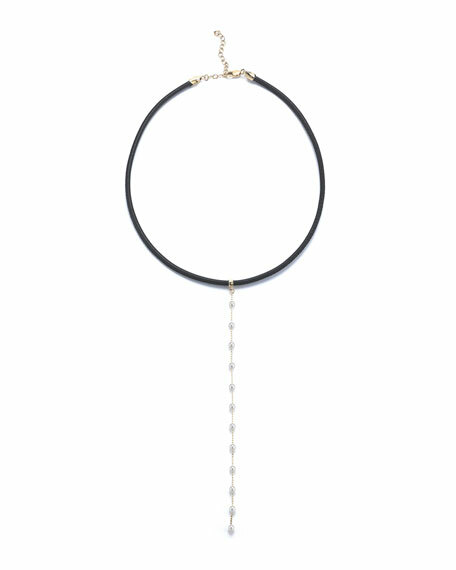 Mizuki leather and chain choker necklace. From the Sea of Beauty Collection. Polished 14-karat gold chain and hardware. Single strand with 13 mixed pearl beads. Mixed naturally colored, Akoya cultured pearls.